Building a top notch custom home takes blending a client's design wishes and functional needs, all while ensuring any new construction perfectly complements the lot being built on. This Downers Grove dream home that we have recently broken ground on checks all of those boxes. OAKLEY ON BLODGETT Anticipating a move from the city to the suburbs, these clients approached us to talk about a new construction home. They had yet to find a lot, so we played matchmaker and helped them to find a lovely, oversized lot in Randall Park. Steps from Whittier Elementary and Patriot's Park, and set on a property filled with mature trees, it wasn't hard to fall in love with this lot. From there, we worked to design a home with them that would complement not only the lot, but the neighborhood. Complete with elements that lend just the right amount of classic charm, this home is also built to take full advantage of the beautiful lot. A screened-in porch and balcony off the master mean serene mornings spent enjoying the view with a cup of coffee are always just steps away. 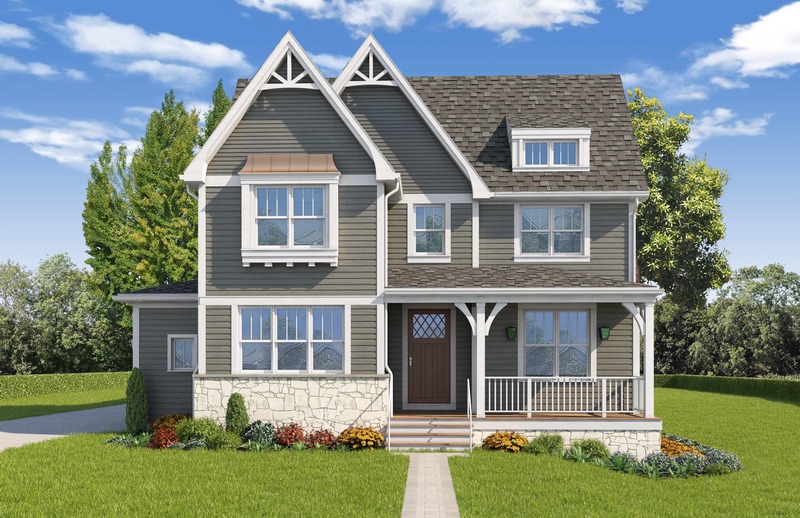 Exterior trim details, copper accents and a custom designed front door are all special cottage style and craftsman inspired touches that were incorporated. The design is intended to create a classic, inviting feel for this family home. Inside this 4 bedroom home, details like window seats and pocket doors add charm while also serving smart, functional purposes. Knowng our clients have young children, this home's massive backyard and location being just a stone's throw from Whittier Elementary ensure that the lot we helped our client's to find might just be as loved as the custom home we're building. 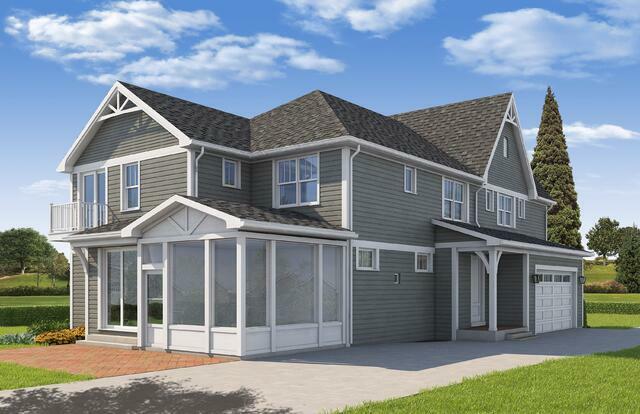 Are you looking to build your own Oakley dream home in Downers Grove or another area that we build in? Let us help play property matchmaker and find your ideal lot/location. Or check out this currently available lot just a block away from this Blodgett property, located on Benton Ave in Randall Park. Contemplating your own custom build? With experience building well over 100 homes in the western suburbs, we can talk everything from property value to community vibe and help you find the perfect town and property.